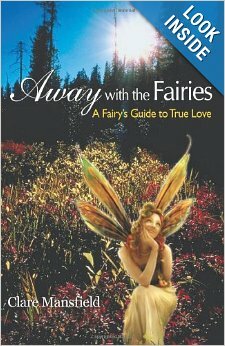 We would like to present our Client and Author, Claire Mansfield, a qualified B.Ed., and her new book entitled “AWAY WITH THE FAIRIES “A Fairy’s Guide to True Love. Clare has worked as a Primary School Teacher for over a decade. 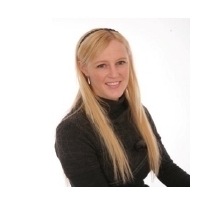 She trained as a Personal & Business Life Coach with the Irish Life Coach Institute. She realized her natural instincts as a healer and went on to become an Integrated Energy Therapist. Claire hopes her Celtic voice, vision and energy will appeal to a wide audience as she presents her channeled insights in a logical way. The Author was shown how to energetically remove fear and negativity from her life and how to live her dream life of love, passion and integrity. On completing this book she met her ‘twin flame’ so she is a living testament to the words and messages presented in her book. The book shows how you too can find true love. It gives us great pleasure in introducing Claire’s most entertaining read and ‘guide/‘handbook’ entitled AWAY WITH THE FAIRIES “A Fairy’s Guide to True Love”, aimed at all those readers out there, who may be searching or seeking answers/guidance, as how to find ‘true love’ in their lives and discover a more balanced emotional and ‘lifestyle equilibrium’ to preen more quality time from their daily lives. Claire Lune is a very complex and resourceful author, and we certainly feel her work has been well researched and has poignantly been based upon her personal life’s experiences, her travels to various international destinations, and learning many new things outside her own ‘comfort zone’ about different cultures. The author’s very own characteristic restlessness has had a bearing and in her becoming ever more cognizant as a young teenager year ago, feeding a real sense of urgency in wanting to explore all those other universal realms that exist outside the norm of what we generally know and accept as our own familiar ‘terra firma’, and all tangible life that exists upon it. She has created a most compelling and appealing work of literature, which she has based upon her in-depth knowledge about those sciences she began to take a very serious interest in. Claire began to explore and research deeper into those areas of sciences and belief systems that were pertaining to the metaphysical, astrological and telepathic mediums, fortified further by her own deep-felt sense of connection with nature, her natural and invisible world, and the innate belief systems she grew up with imparted by the family values of her parents. Claire began to record her feelings and private experiences and made notations explaining how the very bearing these diverse branches of the metaphysical and supernatural senses began to have on her person, and how some of these new revelations that came to her began to alter and affect her personal outlook on life. Her newfound ‘questioning’ about the universe and the science of very creation itself nevertheless, was also met with much apprehension and skepticism during her interaction with those around her. Her proclamation to friends and family and colleagues that she would write her book ‘Away with the Fairies’ was not received with some skepticism by friends and family. During the course of her newly acquired and freshly adopted philosophies from early on in her life as a young teenager, her knowledge began to blossom and mature, and many of her convictions have as consequence left their mark and impressions also on all those with whom she has come in contact with over course of her adult life in a very positive way; thus behind the inspiration to finally penning down her fascinating thesis AWAY WITH THE FAIRIES “A Fairies’ Guide to True Love”. We hope all our readers out there partial to this progressive genre of literature will afford Clare their support, and may discover some poignant treasures and revelations within the context of the topics dealt with in this book, and which they could maybe apply to your own life in a very positive way. This fascinating book is now available from the Publisher’s Website and Amazon.com and will also be available in Kindle & Ebook format in 2014. I was delighted to receive my book last week and I’m thrilled with the end result! Thank you so much in believing in it and in successfully finding a publisher for me! Family and friends are supporting it and I’m planning on having a few book launches at local book books. Any advice you have at this stage is still very much appreciated. How are royalties paid? Does it go through you and how often will I receive my royalties?